If you're as big a fan of Poe as I am, you've been following the many celebrations in Philadelphia, Baltimore, Richmond and elsewhere over the past year, the bicentennial of his birth. For those who weren't able to attend any of the celebrations or panels or talks, check out today's article in the about New York TimesEdgar Allan Poe, the celebrations and the Poe Museum and much more. Go Here. at the Library of Virginia, 800 East Broad Street, Richmond; (804) 692-3500. The Poe Museum is at 1914-16 East Main Street, Richmond; poemuseum.org. Hope you enjoy it as much as I did. For authors out there, perhaps enjoy is not the right word! ADVANCE: A secret code signalling to the marketing department whether or not to promote a title. ADVANCE COPY: A bound book that when opened by an editor will instantly expose an embarrassing mistake. AGENT: An intellectual property and contract law specialist who is unable to pass the bar. ANTHOLOGY: An artifact that has been superseded by stacks of velo-bound photocopied pages, usually unnumbered and with text cut off at the edges, known as CLASS READERS. AUTHOR: A large class of individuals (approximately three times as numerous as readers) serving a promotional function in book marketing or providing make-work for editorial interns. AUTHOR BIO: A piece of creative writing whose length varies inversely with the attractiveness of the person depicted in the AUTHOR PHOTO. AUTHOR PHOTO: Pictorial fiction. Authors always choose photos that emphasize that quality in which they feel most deficient. AUTHOR TOUR: A hazing ritual intended to make authors compliant to their publishers. Continue Reading A through Z Here. Thanksgiving. I have a lot to give thanks for: my family, my friends, my health, and the wonderful mystery community. I'm having Thanksgiving at my home this year, and I must report that my family is as dysfunctional as most in the U.S., but we haven't stooped to murder! That can't be said for the families in the following list of Thanksgiving mysteries. And, if you're cooking the turkey or baking the pies, be sure to check out Mystery Lovers' Kitchen for Thanksgiving recipes and cooking techniques from Mystery Writing Cooks Avery Aames, Julie Hyzy, Jenn McKinlay, Riley Adams, Cleo Coyle, & Krista Davis. Let me know if I've forgotten any. Rege Behe has a great article in the Pittsburgh Tribune-Review: Technology can be an author's best publicist. She interviews Anne Rice, Alafair Burke, Hallie Ephron, Gregg Hurwitz, and several others about their social media habits: Twitter, Facebook, Blogs and websites. Before the World Wide Web gained traction, Anne Rice was trying to reach readers beyond the pages of her novels. She published a newsletter and left messages on a phone line where fans could leave feedback. Rice, the noted author of "The Vampire Chronicles" series, occasionally took out ads in newspapers to get out her message. "I was much criticized for that," she says, "but then it turned out that the Internet came along, and now everybody does that." Rare is the writer who doesn't have a Web site, from best-selling authors such as Rice and Stephen King to literary novelists the likes of A.S. Byatt and Ian McEwan. Writers have turned to social media sites such as Facebook and Twitter to interact with fans and market their work. Don't miss Left Coast Crime 20: Booked in L.A. that will be held at the Omni Hotel, Los Angeles, March 11-14, 2010. Guests of Honor: Jan Burke & Lee Child. Toastmaster: Bill Fitzhugh. Fan Guest of Honor: Me !? Register now! When's the last time you've been to L.A.? Never been to L.A.? Maggie Mason has put together several different ideas for you to extend and enjoy your time in Los Angeles at Left Coast Crime. 4. Los Angeles was home to the original masters of the noir mystery-- Dashiell Hammett, Raymond Chandler, and James M. Cain. Read their books, toast them with their favorite cocktails, rent movies that were based on their stories and characters, and then go to L.A. and see for yourself the city that inspired them, or at least kept them in a noir mood while they wrote their masterpieces. 9. Get inside Michael Connelly’s L.A.
12. Find 20 mysteries that were set in Los Angeles , the home of LCC 2010. Give them as gifts to your friends and family. Not only does this save you the stress of thinking of a gift for everyone on your list, it also gives you a chance to suggest that going to LCC 2010 would be a fun thing to do together! O.K. I'll be there. Will you? 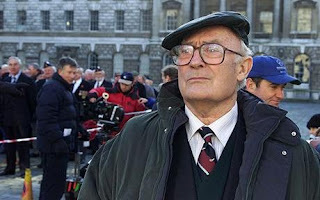 British Actor Edward Woodward R.I.P. British actor Edward Woodward has died at the age of 79, the BBC reports. Woodward was in the U.S. TV series "The Equalizer" and the British spy series "Callan" in which he played a rebellious British secret agent. He played Sergeant Neil Howie in the 1973 cult classic The Wicker Man in which his character was burned alive. He also appeared in the movie Hot Fuzz. He had been in ill health for a few months before his passing. Woodward is survived by four children and his second wife, actress Michele Dotrice. Read more in the Washington Post Obit. Mystery Readers Journal had two issues on Partners in Crime several years ago. The first Partners in Crime issue focused on mysteries with partner sleuths. The second Partners issue focused on writing partnerships. There were several articles by authors who wrote with a partner that detailed how and why they did this. There were a few 'group' written novels. Foolproof is a novel written by three mystery authors, three friends. I asked Mark Zubro to blog today about this novel, how it came about and how he, Jeanne Dams and Barbara D'Amato wrote 'together'. This is the first of a series of guest blogs about writing together. Barbara D’Amato, Jeanne Dams, and I have written a book together. The title is Foolproof, due out in December. I’m Mark Zubro, and I’ve had twenty-one books published; twelve in the Tom and Scott amateur sleuth series and nine in the Paul Turner police detective series. 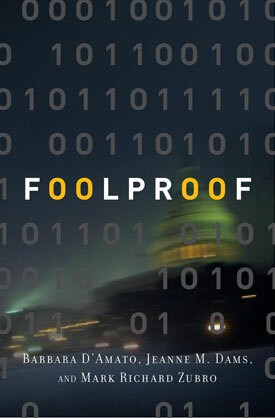 The idea for Foolproof came about when I woke up in the middle of the night or early in the morning of December 26, 2003. I wrote a page of notes about a possible plot to steal the US election electronically. I then emailed these notes to Barb and Jeanne that same morning. Barbara, Jeanne, and I were in a reading group together, had been for years. That is we get together every few weeks and read what we are writing out loud to each other. These are serious working meetings. We discussed the project at our meetings and by email, and by early February 2004 we had agreed to write the book and had set out a series of guidelines on how we would proceed. Among the most important of these was the notion that we would discuss at great length and in enormous detail precisely where the plot was going to go. This was designed to help eliminate creative differences in the writing. While we didn’t have a formal contract among themselves, we found assigning responsibilities reasonably easy. The three of us have known each other and worked together for many years, and formed a warm friendship. The one absolute rule we established from the start for Foolproof was that if at any time the project threatened the friendship, the project would be scrapped. It never happened, thank goodness. The best ways to describe our working together are methodical, logical, and professional. At numerous intervals we would check what we’d written against what we planned and either revise the work or the plan or both to meet the needs of our collective imaginations. We continued to meet and discuss frequently but also began writing. By April 13, 2004 Barb had emailed a proposed opening. By May 10, 2004 character sketches of all major characters were being emailed back and forth, each adding, revising, including new thoughts. This process of reading each section out loud continued throughout the entire manuscript preparation so that eventually the entire thing had been read out loud in the presence of all three. Reading one’s work out loud, we all agree, makes for a far better manuscript. The final preparation took five eight-to-twelve hours days of working on the manuscript, attempting to polish it to perfection line-by-line and verb-by-verb. So after three years and hundreds and hundreds of emails and innumerable meetings we finished the book. It is set to be published December 22, almost six years to the day from the first sent email. Today I welcome author Pat Bertram to Mystery Fanfare. Pat has been conducting a Blog Tour for her latest mystery, and I asked her to tell me more about what constitutes a Blog Tour. Pat Bertram is a native of Colorado and a lifelong resident. When the traditional publishers stopped publishing her favorite type of book — character and story driven novels that can’t easily be slotted into a genre — she decided to write her own. Daughter Am I is Bertram’s third novel to be published by Second Wind Publishing, LLC. Also available are More Deaths Than One and A Spark of Heavenly Fire. Virtual book tours have become prevalent very quickly. I've heard how great they are -- mostly from the major publishers who don't want to spend the money to send their authors on an unvirtual tour -- that I wonder how worthwhile blog tours really are. I know the most popular book blogs do help get the word out, but it’s hard to get a guest spot on those blogs unless you have a publicity department behind you. Some people who have done tours think the tour helped with sales, other says not. Me? I’m still in the middle of my tour, though it is winding down, and I have yet to see an increase in sales. I’ve read that for most authors, the real benefit of doing a book signing in an offline store is the connection one makes with the bookseller, and perhaps the same holds true with a virtual book tour. I’ve made connections with other bloggers, introduced my books to people who would not otherwise have discovered them, and talked about my books with those who have read them. Setting up a blog tour is easy, though time-consuming. You need to research blogs to find the best fit, and then you need to query the blogger. If you are invited to be a guest on the blog, you need to find out what is expected of you -- an article, an interview, a giveaway -- and you need make sure that every article you write, every response in an interview is different and appealing. People will not follow your blog tour if you keep recycling the same article. Make sure you send your guest post, a bio, a photo of you, a photo of your cover days in advance. Then on the day the article is posted, you need to visit the blog several times and respond to comments. One of the disconcerting aspects of my tour was how few bloggers did anything beyond posting the article. 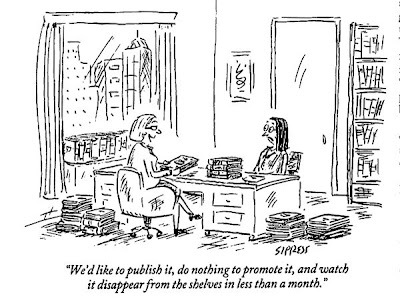 No mention on Facebook, no Twitter, no promotion of any kind. So, the main thing is, make sure you do what you can yourself to promote. Which means, for me, two blog articles a day, one for the host, and one for my blog to promote the host. Plus Facebook status updates, posting the link on my profile, and Twittering. So far, the tour has been fun and challenging, and I’ve certainly done what I could to launch my latest release, Daughter Am I, but will I do it again? Probably. I have a hunch the benefits of a tour are long term, and the more one does to get their name out there, the better the chance of getting known. Description of Daughter Am I: When twenty-five-year-old Mary Stuart learns she inherited a farm from her recently murdered grandparents, grandparents her father claimed had died before she was born, she becomes obsessed with finding out who they were and why someone wanted them dead. Along the way she accumulates a crew of feisty octogenarians-former gangsters and friends of her grandfather. She meets and falls in love Tim Olson, whose grandfather shared a deadly secret with her great-grandfather. Now Mary and Tim need to stay one step ahead of the killer who is desperate to dig up that secret. Toby Gottfried, Mystery Maven extraordinaire, will moderate a program with authors Sharan Newman, Ona Russell and Rita Lakin on Sunday, November 15 at the Contra Costa Jewish Community Center, 2071 Tice Valley Blvd, Walnut Creek, CA. Newman created the Catherine LeVendeur mysteries set in 12th-century France. Russell authored “The Natural Selection” mystery about a Jewish detective who’s involved with a murder investigation during the Scopes Monkey Trial in the early 1900s. Lakin, a Marin County author, writes the “Getting Old” series-- “Getting Old is to Die For” and “Getting Old is the Best Revenge” --set in present-day Miami about a group of retirement home dwellers who solve crimes. Toby Gottfried, a long time member of Mystery Readers International and a personal friend, picked the authors and will moderate the program. She volunteered for the Jewish Book and Arts Festival because she knows many mystery authors who use Jewish themes in their stories. O.K., Toby knows everyone, but you have to decide on a few to make the program vibrant. Toby and her husband Bill Gottfried have been active in the mystery community since 1985. They've worked on and chaired several mystery conventions, run a regular summer mystery reading group, attend mystery conventions, and so much more. Toby, in her 'other' life is a molecular genetics researcher. 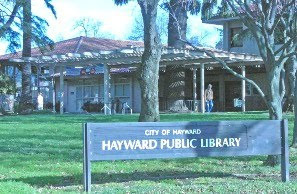 “Mystery Mavens aka East Bay Crime” will take place from 11 a.m. to 3 p.m. Nov. 15. Tickets are $15. For details, visit http://www.jfed.org/book09. Strand Magazine will be publishing a "found" Agatha Christie Hercule Poirot 5000 word story, "Incident of the Dog's Ball". This story that was one of two found in the attic at Greenway, Christie's home. It eventually became the 1937 novel Dumb Witness. I overheard this 'rumor' at Bouchercon, and it was confirmed by Andrew Gulli, the editor of The Strand. However, I wanted to wait until it was official to mention it. Very exciting. This is the first appearance of a new Agatha Christie story in the U.S. since 1975. 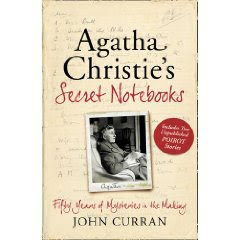 This story was published in the U.K. in September, in John Curran's Agatha Christie's Secret Notebooks (HarperCollins). John Curran, an "arch-fan" found this story and "The Capture of Cerberus" in the attic. Both stories also appear in his book Agatha Christie's Secret Notebooks (HarperCollins). In this wonderful book (a must for Christie fans), Curran reproduces notes, stories, sketches of St. Mary Mead, as well as information about and from Agatha Christie. Curran previously published pieces in Christie fan magazines. There were 73 notebooks covering her working life from the 20s until the year of her death. What a job! 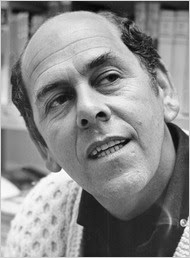 I was very sorry to read that Lionel Davidson died on October 21 at the age of 87, I was so sad that I didn't post anything. Last night in my mystery bookgroup we read a book set in Tibet by another author, and I couldn't help comparing it to The Rose of Tibet by Lionel Davidson. Davidson was a remarkable writer. My favorite mysteries by him were The Rose of Tibet, The Night of Wenceslas, and The Menorah Men (A Long Way to Shiloh-UK), but I enjoyed all of his 'thrillers.' It's interesting to me that I often meet avid mystery readers who have not read his books. I think it's because his books are hard to categorize. Some readers want a certain type of book. His books range from history, adventure, mystery, and espionage. His writing style is superb, and his books are all very different, even in style. His characters are well drawn, his plotting great and his description of locale rich. Davidson won the CWA Debut Dagger for Night of Wenceslas which was later made into the 1964 film Hot Enough for June. 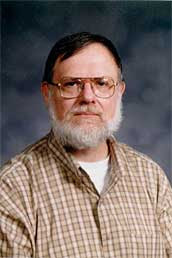 He was also a three time CWA Gold Dagger winner and in 2001 he won the Cartier Diamond Dagger for Lifetime Achievement. The good news is that all eight of his adult novels will be reissued in the U.K and the U.S. by Faber and Faber. The bad news, of course, is that there will be no more. November 11 is Veteran's Day. Originally known as Armistice Day (also known as Remembrance Day) November 11 commemorates the armistice signed between the Allies of World War I and Germany at Compiègne, France, for the cessation of hostilities on the Western Front, which took effect at eleven o'clock in the morning — the "eleventh hour of the eleventh day of the eleventh month" 1918. U.S. President Woodrow Wilson first proclaimed Armistice Day as November 11, 1919. The United States Congress passed a concurrent resolution seven years later on June 4, 1926, requesting the President issue another proclamation to observe November 11 with appropriate ceremonies. The 11th of November is"a day to be dedicated to the cause of world peace and to be thereafter celebrated and known as 'Armistice Day'." It was later changed to Veteran's Day. Too many wars. Given that I love to read mysteries that reflect regions and holidays, it's only natural that I planned to compile a list for Veteran's Day. Of course, Jacqueline Winspear and Charles Todd's mysteries were at the top of my list, but one of the most complete lists is BV Lawson's 2007 invaluable blog of Veteran's Day Mysteries. No need for me to duplicate her effort. Be sure and read her blog, as well as all the comments. Another fine list is In Remembrance Fiction in Times of War (not all mysteries) from the St. Charles Public Library. And, I did a Memorial Day blog here on Mystery Fanfare that will round out the list. Wikipedia has an entry about Veteran's Day Mysteries. Several hardboiled heroes have been war veterans. H. C. McNeile (Sapper)'s Bulldog Drummond from World War I, Mickey Spillane's Mike Hammer and many others from World War II, and John D. MacDonald's Travis McGee from the Korean War. In Bulldog Drummond's first appearance he is a bored ex-serviceman seeking adventure, Spillane's Mike Hammer avenges an old buddy who saved his life on Guadalcanal. The frequent exposure to death and hardship often leads to a cynical and callous attitude as well as a character trait known today as post-traumatic stress characterizes many hardboiled protagonists. Read a Veteran's Day mystery today and remember the men and women who fought (and are fighting) for world peace. Read the rest of the article for details and implications, HERE. Philip Kerr, one of my favorite historical crime writers, won the Ellis Peters Historical Award, given out by the British Crime Writers’ Association, for his 2009 Bernie Gunther novel, If the Dead Rise Not (Quercus). Also nominated for this year’s award: The Dead of Winter, by Rennie Airth (Macmillan); The Redemption of Alexander Seaton, by Shona MacLean (Quercus); The Information Officer, by Mark Mills (HarperCollins); The Interrogator, by Andrew Williams (John Murray); and An Empty Death, by Laura Wilson (Orion). Read more here in The Rap Sheet. In September, Philip Kerr won the RBA International Award for Crime Writing. It's a good year for Philip Kerr. I came across two articles recently that I think mystery fans should read. Love to hear your comments. The first a rticle is on the State of the Crime novel by Jason Pinter. The second is Sarah Weinman's on How to Freshen up a Detective Series. Jason Pinter in The Huffington Post on the State of the Crime Novel asked six crime fiction reviewers to weigh in with their thoughts on the Crime Novel. I've been blogging at the Huffington Post for nearly a month now, and I haven't yet touched on my bread and butter, my passion and my current profession: the Crime Novel. I'm a crime addict, a thriller writer, a lover of everything that goes bump (and bang, and slash, and boom) in the night. Yet as a former editor I'm fascinated not only in the writing and craft of crime novels, but how they reflect our culture and how our culture inspires these books. I love to know who to read, who to watch for, who people are reading and why. From James Crumley to James Patterson, from Patricia Highsmith to Patricia Cornwell, from Dennis Lehane to Denis Johnson, crime novels have been responsible for some of the most beloved (and loathed) characters of our time, while telling some of the most important stories and peeling back society's flesh to reveal its bare bones. Crime novels can keep us entertained during a long plane ride, or comment on the most relevant issues of the day. Sometimes they do both. Sarah Weinman's column Dark Passages in yesterday's Los Angeles Times: How to freshen up a detective series. One of the hardest tasks a crime writer faces is how to keep a long-running series fresh. The worst-case scenario is when authors let their detective run amok far longer than necessary, leading to an exasperated fan base that buys new installments out of grudging loyalty. Case in point: The bite and vigor of Robert B. Parker's "Spenser" series has diminished into softened decrepitude, with the Boston private eye more content to sit around and lob gentle sallies at his psychologist lady love Susan Silverman (and marvel at the ones he gets in return). Others know when to quit, such as Ian Rankin, who cut his Inspector Rebus opus after 20 books with "Exit Music." Continue reading here. 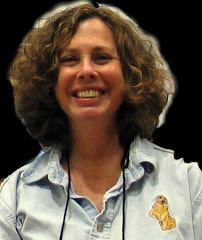 Sarah Weinman blogs about crime and mystery fiction at www.sarahweinman.com. Dark Passages appears monthly at latimes.com/books. Every day is Bookstore Day for me, but I suppose I'm happy that Publishers Weekly has designated November 7 as National Bookstore Day. And, it's a Saturday, so even better. Plenty of time to hit several different bookstores. Brick and mortar bookstores have had a hard time this past year given the advent (flood) of e-books and hardcover price wars and the number of big box stores that sell books. Independent booksellers around the country are involved in this nationwide promotion to remind people how special independent bookstores are. National Bookstore Day is also a time to reflect on the roles that bookstores play in our society. Book Passage in Corte Madera (CA) is a cultural center that offers workshops, classes, talks and signings. The Poisoned Pen in Scottsdale (AZ) will be holding a workshop on collecting books which will be broadcast as a webinar. Book'em Mysteries (Pasadena, CA) is also celebrating its 20th Anniversary with a sale of 25% off all New books and 50% off previously signed hardcovers. M is for Mystery is one of my favorite local independent mystery bookstores, and I plan to stop by there today. Many other bookstores have scheduled bookclub meetings, author talks and signings today. Several mystery bookstores are involved in National Bookstore Day. For a list of Mystery Bookstores, go here. Be sure and check your favorite bookstore or search out a different (new to you) bookstore. Visit a Bookstore today and buy a book! A two-day workshop on Saturday, November 21 & Sunday, November 22 at the historic Claremont Resort & Spa. NEA grant recipient and Edgar-nominated author Cornelia Read has organized this workshop for aspiring crime fiction writers. Literary agents, published authors, and an Academy Award nominated actor/writer/director will help aspiring authors complete and sell their work. Published authors will present on a variety of topics and meet with aspiring authors face-to-face. Barbara Poelle, a top-selling New York agent with the Irene Goodman Literary Agency will talk about trends in publishing and instruct authors on how to write project and query letters. Law-enforcement professionals will give insights on police procedure. The cost to attend the workshop for both days, with breakfast and lunch service, is $249 (before Friday, Nov. 6). The Claremont is offering a special room rate of $149 per night. Workshop participants are encouraged to submit their work for an additional fee if they want feedback. For a complete schedule, fees, and workshop details, please go HERE. SINC President Juliet Blackwell will be a presenter. Her first book in her NEW series, "Secondhand Spirits," has been on the IMBA and Barnes & Noble bestseller lists and is going back for a second printing. She has also been nominated for the Agatha award for her Art Lover's Mystery Series. Peter Riegert, whose films include Animal House, Local Hero, and Crossing Delancey, will discuss creating memorable characters and why storytelling matters. Seth Harwood recently added to list of presenters. He will discuss what motivated him to finish his novel "Jack Wakes Up." Sophie Littlefield, another workshop presenter, signed with St. Martin's for two more books in her Stella series. Her first novel, "A Bad Day for Sorry," made the San Francisco Chronicle and IMBA bestseller lists and is getting rave reviews. The Berkeley Mystery Writing Workshop will be a great opportunity to meet with these authors, literary agents, and hear from actor/writer/director Peter Riegert about storytelling and adapting novels for the screen. If you want to stay overnight at the Claremont during the workshop, please let the reservations clerk know that you are booking a room for the "Berkeley Mystery Writing Retreat" on Nov. 21 & 22. They will extend the special workshop rate of $149/night. The reservations number is 800-551-7266. 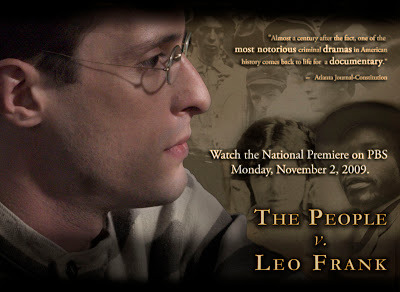 The People v. Leo Frank, the 100 year old true crime trial is the subject of a new and powerful PBS Documentary. On April 27, 1913, the body of 13-year old Mary Phagan was found by the janitor at the Atlanta pencil factory where she worked. She had been beaten, strangled and possibly raped. Although there were other suspects, Leo Frank, a Jew from Brooklyn, was the prosecutor's prime suspect. The sensational trial lasted a month. It's pretty much agreed that Frank had not received a fair trial. His sentence was commuted from death to life in prison. However, an elite group of Georgians including a sitting judge and the former governor, made plans of their own. They went to the state penitentiary and without firing a shot, abducted Frank, took him back to Marietta and lynched him. Frank's hanging helped inspire the founding of the Anti-Defamation League and provoked more than 3,000 Jews to flee the state. Leo Frank was posthumously pardoned for the murder of Mary Phagan by the state of Georgia in 1986. The PBS Documentary of this infamous trial and lynching is airing on some PBS channels now. For more information, go HERE. Watch the Trailer HERE. For articles about this travesty in American History and Justice, go HERE and scroll down. Mystery Readers Journal recently had an issue on Crime for the Holidays. What holiday could be more fitting to Mystery Fiction than El Dia de los Muertos: Day of the Dead? Isn't every day the Day of the Dead in Crime Fiction?